Objective: Migraine is linked with an elevation in vascular risk factors, ischemic stroke, and a variety of constitutional brain lesions. However, the pathogenesis of this relationship is still inexplicit. The link between cardiac diseases and comorbid migraine-ischemic stroke might be a vascular disease involving both heart and brain. In this study, an association between mitral valve prolapse (MVP), migraine, and the presence of brain white matter hyperintensities (WMHs) were evaluated among adult subjects with migraine headache devoid of any traditional vascular risk factors. Materials and Methods: Four hundred subjects (200 subjects with migraine headache, 200 healthy controls; age range 18-50 years) were incorporated in the retrospective study. Existence of a headache compatible with migraine was diagnosed according to the International Headache Society-2 criteria. The participants were devoid of any known comorbid diseases, vascular risk factors or inflammatory diseases. All patients, both those with migraine and controls were screened with echocardiography to assess for MVP and with brain magnetic resonance imaging to evaluate the presence of any WMHs. Results: The prevalence of MVP was found to be higher in the migraine group (p<0.011). The odds ratio (OR) for the presence of MVP in patients with migraine compared with controls was 2.44 [95% confidence interval (CI): 1.25-4.74; p=0.0086]. The OR for the presence of WMHs in patients with migraine compared with controls was 5.88 (95% CI: 3.42-10.10; p<0.0001). After modifying for confounding factors, multiple linear regression analyses revealed that migraine was independently and positively associated with MVP (p=0.044), tricuspid regurgitation (p=0.003), and WMHs (p<0.001), and mitral regurgitation and migraine was independently and positively connected with WMHs (p<0.005 and p<0.001, respectively). Conclusion: MVP is found to be independently associated with migraine when compared with controls. Therefore, we suggest that MVP might have an association with migraine. Nevertheless, we could not demonstrate any correlation between MVP and WMHs. 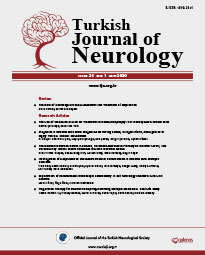 Hence, we suggest that MVP might not be involved in the evolution of WMHs in migraine.